Well, actually most of the hostel in Labuan Bajo are near to each other. We just need to walk some minutes. We didn't stay in the hostel which uncle Leo recommended to us. We walked to jalan Sukarno-Hatta, need more walk from the harbour. After some go show - look at the hostel at the moment -, we choose hostel for tourist, mostly foreign. We choose,,, _____ damn i forgot the name. It was worth to stay hotel, they call it. It just 150 idr with fan and bathroom inside. Actually we got room that can cover 4 people - there's 2 big king bed size. But, it's only room left, we just stay the night, and here we got the room. The water is clean and clear. After so many days of this trip, finally i got to bath - in Kupang i didn't bathing because there's no water, in Moni it was to cold, in Bajawa it was colder - :p.
After got cleaned by fresh water, we got to harbour to get our diner. So many food right there that look delicious. *O God, i'm hungry while write this. We choose to eat sea food with rice and delicious sambal. 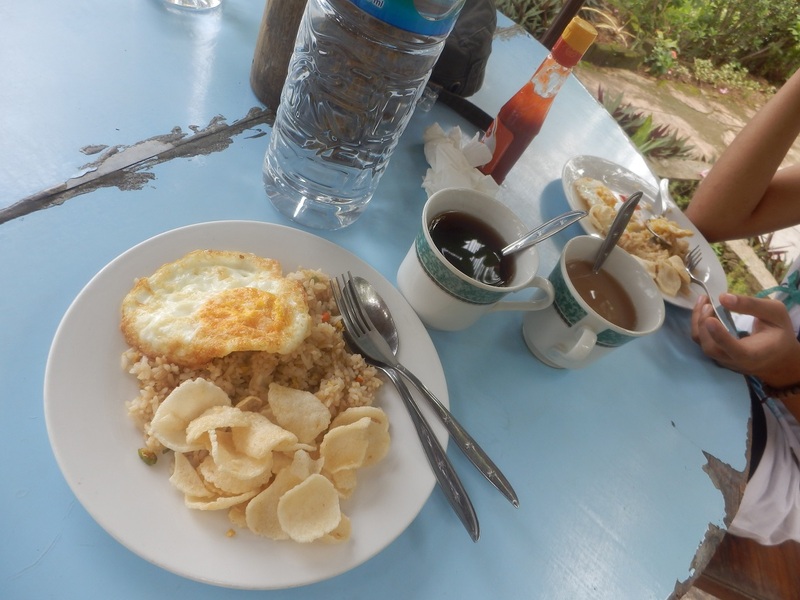 We also eat gorengan, the snack that we tought only found in java island, well i was wrong, drink the delicious es teler bajawa, and end it with pure mango juice without sugar without ice but it was really fresh and yummy. While eat, we meet stranger that became friend. 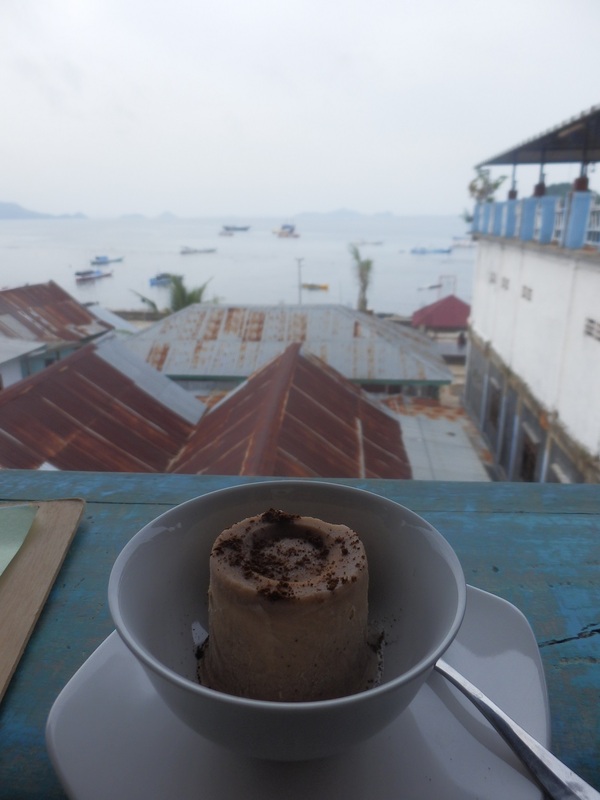 They came from Kupang. 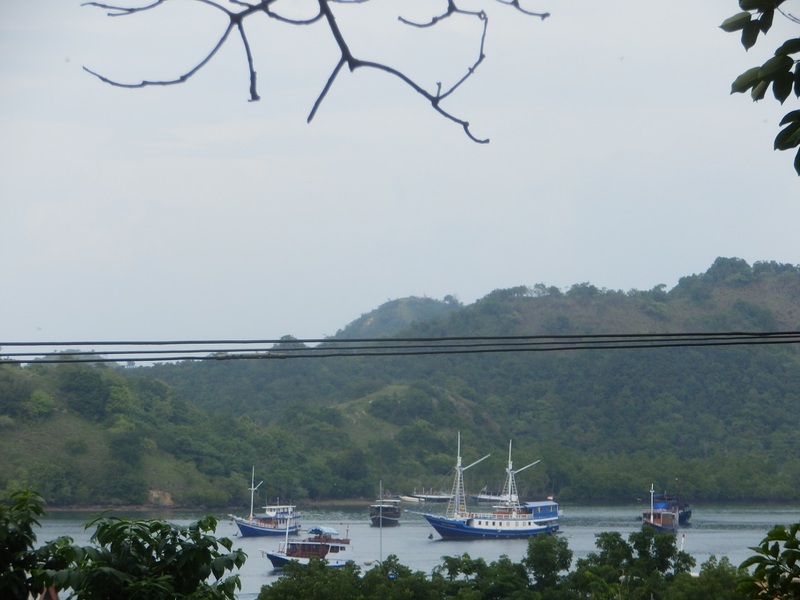 The man is really like to dive, while the women only stay at hotel - their hotel in the hill with sea view - and enjoy the magnificent view of Labuan Bajo Harbour and surround. What a nice diner and thank God we got more friends. After the tummy happy, we rest the night at comfy room. I didn't find any mosquito,, or I just to tired and really easy to fall a sleep. We wake up in the morning with fresh body. The next schedule is island hoping to Seraya Island at 11. Well, we still have some moments. We decide to walk by in jalan Sukarno Hatta and found delicious home made ice cream in one of cute little shop - I dreamt to have on someday. We met anther new friend in that resto. The man - not married - travel alone, in Labuan Bajo for diving experience. God, I think I need to go back to Labuan Bajo when I have license for dive. Well, many wish I have explain. 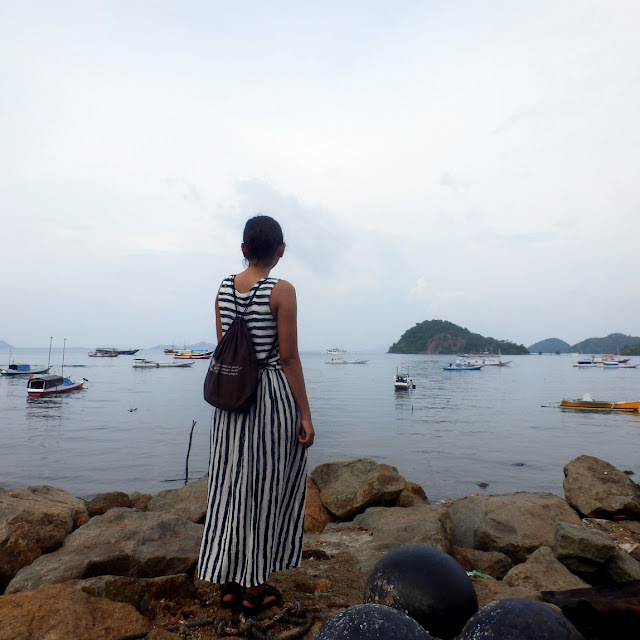 The conclusion, Labuan Bajo is nice. There's more actually. But, we have to move to the island. Ciao!